Dog toys are an essential part of your dog's mental and physical development. 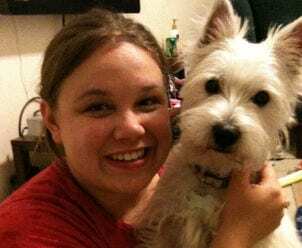 However, since there are so many dog toys to choose from in dozens of different styles and sizes, it can be very hard to find the best one for your dog. This is why we rounded up and reviewed 10 of the best dog toys available on the current market. 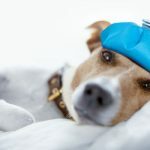 We also put together a comprehensive buying guide to give you the criteria that you want to consider and look for when you're shopping for your own dog's toys. Before we get into the buying criteria, we're going to briefly talk about the types of dog toys that you can pick from. This will allow you to decide which type of toy you want from the start, and this can narrow your search down. Comfort Toys: A comfort toy is usually a plush toy that your dog can carry around and lay on. It exists solely to provide comfort and reassurance for your dog when you're not around. 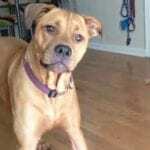 Enrichment Toys: Enrichment toys are the toys that make your dog think and work in order to dispense things like treats. Kong products are a great example of these types of toys. Interactive Toys: Interactive toys allow you and your dog to play together and bond each time you do. 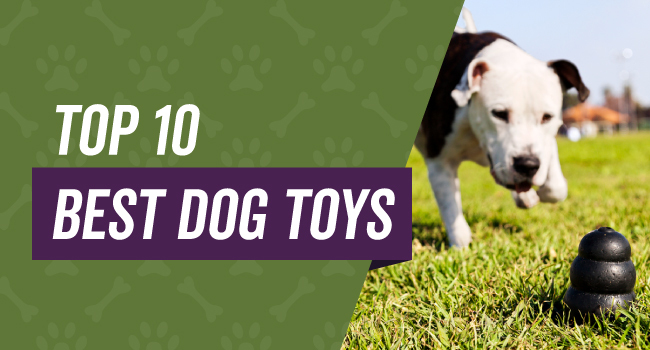 These types of toys include things like ropes with knots or tennis balls because you have to interact with your dog to get the most out of them. Self Amusement Toys: These types of toys are solely designed to keep your dog entertained and active when you're not around. Nylon bones are a type of self amusement toy because they distract your dog. Training Toys: The final category falls under training toys because they help to teach your dog what they can and can't chew on. Again, Kong toys and products are a great example because they're specially formulated to withstand aggressive chewing. There are several things that you want to look for when you're considering buying toys for your dog. This can help you get a toy that will withstand how they play for months or years to come. You'll have to match your dog's toy to their age and activity level to help them get the most out of whatever you buy them. Younger and more energetic dogs may like toys that you can throw, and they can chase while older dogs may like bones or toys they can lay down and play with. One of the biggest points to consider is how durable the toys are that you want to buy for your dog. Plush toys with squeakers aren't designed to withstand aggressive chewing. Nylon, hard plastic, or even certain rope toys have a higher degree of durability because they're usually made with more aggressive chewers in mind. If you have a pickier dog, make sure you double check the available flavors if you pick a toy like a bone. You can typically find peanut butter, bacon, chicken, and even mint if you do a little research. Pick the best one that you'll think your dog will like to have and chew on. Pay attention to the dog toy's material and compare it to what you want the dog toy to do. 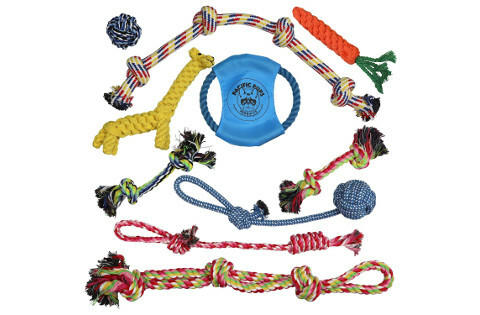 Aggressive chewers need toys that will be able to withstand rough play like rope toys, thick rubber, or hard plastic. Dogs that don't play roughly with their toys may benefit from softer or more plush toys. Whichever toys you choose should be safe for your dog to have, and this is especially true if your dog accidentally swallows pieces of it. Look for toys that feature non-toxic materials, no sharp edges, no long strands that can choke your dog, and no harmful materials like BPA or lead. Dog toys come in different sizes and different weights to suit small, large, and medium breeds. It's important to make sure that the toy isn't too large or too small for your dog because this could make it less durable or less enjoyable for your dog to play with and carry around. If your dog doesn't have any toys, there are several reasons why you may want to consider buying them at least one or two. We've outlined the biggest reasons below. As we mentioned earlier, playing and interacting with your dog is a great way to strengthen the bond between you. 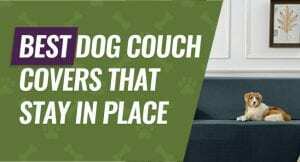 You could also head off any unwanted behaviors by paying more attention to your dog, so they don't feel like they have to act out to get it from you. Playing with certain types of toys can help to clean your dog's teeth and prevent tartar buildup, plaque, and general decay. This is especially important if your dog is starting to get older because they're more prone to tooth problems and dental infections. Giving your dogs toys to keep them stimulated also encourages them to get up and run around with them. This exercise can help to keep your pet at a healthy weight throughout their lives. In turn, they could have better joint health or overall health as they age. A bored dog can be a destructive dog that engages in unwanted behaviors like barking, chewing, and shredding your belongings. Having quality toys for your dog to play with is an effective way to ward off this destructive behavior. This fun and plush toy is specially designed to stimulate your dog, keep them entertained, and eliminate any boredom that could lead to destructive behaviors. The soft toy helps to stimulate your dog's mental play by squeaking each time they grab it. The trunk of the toy allows you to stuff the squirrels in various places to encourage your dog to find it and pull it out. The plush squirrel toys also double as a fun fetch toy because they're heavy enough to allow you to toss them both long and short distances for your dog to retrieve. This toy comes in four fun sizes to suit dogs of all sizes with different amounts of squirrels for each size including three squirrels for small, three for medium, three for large, and six for ginormous. You can also quickly and easily buy different animal themes in three packs including bee, bird, and hedgie. Dog parents who bought this interactive dog toy liked that it encouraged mental stimulation as well as physical stimulation each time their dog played with it. Dog parents did say that the toys and the trunk itself doesn't stand up to heavy chewing very well. This durable rubber chew toy from Kong can help your dog solve a variety of problems including weight management, crate training, boredom, chewing, teething, and destructive behaviors due to separation anxiety. The ridged design helps to scrub plaque away from your dog's teeth to keep them healthy and free of tartar. The middle of this Kong toy is hollow because you can put treats in there to encourage your dog to play with it and figure out how to get the treats out. You can choose from several different sizes including extra small, small, medium, large, extra large, and 2X to suit your dog's size. The thick rubber material is great for moderate or slightly heavy chewers because it's durable enough to withstand it without cracking, breaking, or tearing off. Finally, you get peace of mind when you give your dog this durable toy to play with and chew on because it's made in the United States to strict quality control guidelines. Dog parents who bought the Kong chew toy were happy that it doubled as a toy that cleaned their dog's teeth and kept tartar from building up each time they played with it. They did note that it was a slightly heavier toy. 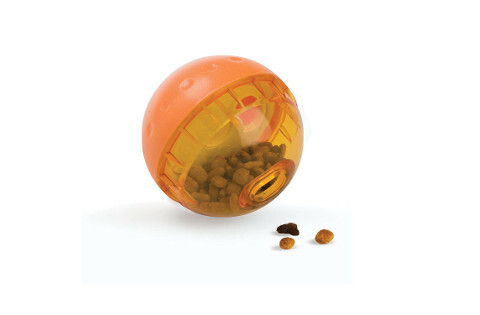 This treat ball comes in a bright orange color that makes it difficult for your dog to misplace as they play with it. You can pick from two different sizes and different pack sizes to customize the amount you get in each order. You'll get varying levels of difficulty that you can set to make it more challenging and time-consuming for your dog to get their treats out. The small hole is ideal for smaller dog treats to fall out of as your dog rolls the toy around because it encourages your dog to play with it. The toy splits in half, and you simply twist it apart in order to wipe or wash it out to get rid of any stuck treats and keep it clean. This toy is ideal for small or medium dogs because it comes in three and four-inch sizes at the largest. Dog parents who bought this ball liked that it came made out of a harder plastic that stands up to repeated play without cracking or breaking. Dog parents did note that this toy isn't big enough for larger dogs to safely play or interact with. This plush duck dog toy by Multipet features a loud squeaker in the body of the toy that helps to keep your dog entertained when they play with it. The larger size combined with the bright yellow coloring makes it very easy to find this toy if your dog misplaces it. The longer hair on this toy can work to discourage your dog from actively or aggressively chewing on it when they play with it, so it lasts longer than other toys. It also doesn't have a lot of parts sticking out that your dog could chew on, shred, or rip off if they play too roughly. It's heavy and large enough that you can use it as a toy to play fetch with your dog, or they can simply snuggle up to it because it's soft. The toy's larger size makes this suitable for medium to large dogs if you want them to be able to lift it and carry it around easily. Dog owners who bought this large and cuddly toy remarked that it worked very well as a source of comfort for their dogs because it's soft. They did say that this toy can't withstand heavy chewing without the seams coming apart. This durable chew toy comes designed so your dog can quickly and easily hold it between their paws and chew on it because it has weighted ends. This toy comes with 100-percent food-grade ingredients all of the way through for a lasting taste from beginning to end. This toy also made our list of the best chew toys for teething puppies. 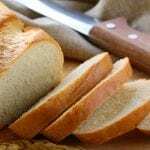 You can pick from three different sizes and flavors including peanut butter, chicken, and bacon that allow you to customize your choice to suit your dog's size and personal tastes. The tough material is able to withstand extended chewing without breaking apart or cracking. This toy is made with ingredients sourced around the United States to very strict quality control standards that ensure this chew toy is safe for your dog. Benebone donates a percentage of each toy you buy to shelters and causes around the United States as well. Dog parents who bought this chew bone liked that it comes with an ergonomic design with weighted ends that make it easier for their dogs to grip it. 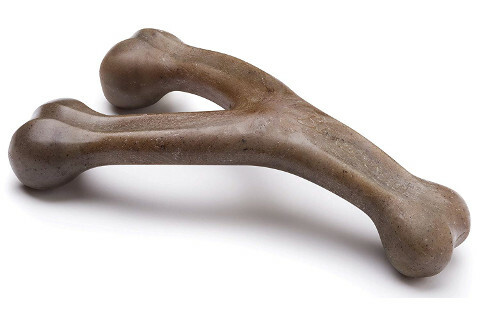 They did notice that the scent may not be strong enough to entice picky dogs to use this bone as a toy. Chuckit! 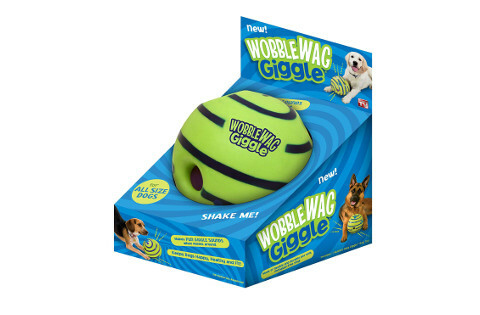 's ball comes with a reinforced rubber core that makes this toy a durable and lasting alternative for dogs of all sizes. It comes with bright colors for high visibility that make this ball a great way to get your dog outside and playing without worrying about losing it. Even though this ball comes with a reinforced rubber core, it is designed to be lightweight enough to easily float through the water to encourage play. 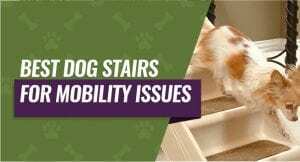 The smooth rubber surface resists dirt and mud because there are no niches, cracks, or holes for it to get caught in when your dog uses it. You can choose from several different order options and size including two inches, two and a half inches, three inches, three and a half inches, and four inches. They also come in one, two, and four packs that allow you to customize your order to suit your needs and your dog's size. Dog parents who bought this ball liked that it came with reinforced rubber that still allowed it to be lightweight enough to float in the water. Dog parents did mention that the ball is a little on the small size. This plush toy outer layer conceals a durable knotted toy inside of it that is durable enough to withstand rougher play without breaking apart or coming undone. The knots provide stimulation for your dog to try and figure out where they are in the body each time they pick it up. There is also a minimal amount of stuffing in these toys because Kong wants there to be as little mess as possible if your dog does manage to get it apart. You can choose from four sizes ranging from extra-small up to large. It also comes in individual packs or packs of two. This toy comes designed to be very easy to clean because you can toss it into the washing machine and tumble dry any time that you notice the toy is getting dirty or grungy. It has reinforced areas around the stuffed portion of the toy for added durability as well. Dog parents who bought this Kong toy were happy that it has minimal stuffing for minimal mess combined with a durable rope body. Dog parents did note that the plushy outer layer doesn't seem to last long with more excitable breeds of dogs. This bright green ball comes with tubes threading throughout the inside of the ball that allow it to emit sounds when your dog plays with it. It comes with six slightly indented pockets that give your dog a place to grab and grip onto the ball when they want to carry it or pick it up. 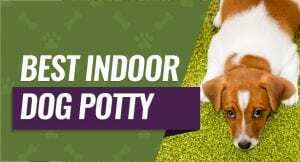 It's made with a durable but flexible vinyl that is easy soft enough for your dog to bite but durable enough not to crack, chip, or break if your dog plays roughly with it. The bright lime green and black colors make this ball very easy to see and keep track of outside and inside. The larger size makes this toy great for medium and large breed dogs who like to carry toys around when they play. This ball encourages both mental and physical stimulation because your dog has to chase it and then figure out how to pick it up because it's too wide for them to get their mouth around. Dog owners who bought this toy liked that it comes with indented pockets that make it easy for their dogs to pick up the toy and bring it with them. Dog owners did note that this toy won't withstand chewing without breaking down rather quickly. This packet of rope toys features a variety of styles, lengths, colors, and designs that help to keep your dog interested and engaged with then play with them. Each toy comes with a lifetime guarantee against damage or wear and tear that allows you to quickly and easily replace them. Your dog will get a carrot floss toy included in the order that helps to clean away any plaque or tartar up to your dog's gum line to keep their teeth healthy. The ropes also contain no plastic because the company wants them to be safe for your dog to chew on repeatedly. Each order comes with ropes, knotted ropes with circular ends, floss toy to clean teeth, rope ball, rope animal, and much more to stimulate your dog. The knots come in different varieties and sizes that are good for large, medium, and small dogs to play with and enjoy. Dog parents who purchased these rope toys liked that they came with several different sizes and styles like balls, animals, and knots. Dog parents did note that most of these toys tend to fray around the ends after a while. Benebone's dental chew toy comes with a slightly bowed design and heavier ends that makes it easier for your dog to grip onto it when they chew. You can choose from four different flavors that sink all of the way though the toy to the middle including mint, peanut butter, bacon, and chicken. The ridges on the handles or ends of the toy work to clean your dog's teeth to get rid of any plaque, food, or tartar that might start building up. The bone can withstand heavy chewing without breaking apart or chipping off because it comes made out of a durable but safe nylon material. You can choose from three different sizes based on your dog's weight to get a size that is light enough for them to carry around while still being durable enough for them to chew. Everything comes made in the United States to very strict standards regarding materials and quality control. Dog owners who chose this dental chew toy liked that it has a slightly bowed design combined with heavier ends that allow their dogs to grip. Dog owners did say that the ridges do tend to break down once your dog really starts to chew on them. Our pick for the best toy you can buy for your dog is the Outward Hound Hide-A-Squirrel Puzzle Plush Squeaking Toy because it has a fun but stimulating design that encourages your dog to continue to play with the toy for hours on end. We liked that it came with several different size choices that you can customize to suit your dog's size. Your dog is able to play with this toy on their own. You can also toss the plush squirrel toys because they're heavy enough to go a good distance. Finally, we picked it because you can also buy additional toys in different animal shapes for your dog to enjoy.